This decrease is largely due to the implementation of a new cost-effective vector control tool, called Tiny targets, by the Tsetse Research team of LSTM’s Vector Biology group. The combination of this new technology, together with the introduction of new diagnostic and treatment tools by FIND, has led WHO to declare 2020 as the goal for elimination of Gambiense HAT. In Uganda, this goal is within reach. During a recent Tsetse Awareness day attended by three Ugandan ministers, LSTM received an award for this work. The tsetse group, under leadership of Professor Steve Torr, has been involved in tsetse fly and HAT research and control in north-west Uganda since 2011, with a grant from the Bill & Melinda Gates Foundation. Field operations are managed from a research station in Arua town, close to the borders of South Sudan and the Democratic Republic of Congo. This area is a historical HAT foci of the chronic Gambiense form of the disease in humans (as well as the associated disease in livestock, called Nagana). Vector control plays an important role in managing this NTD and if done correctly, results in a rapid decrease in tsetse fly populations and consequently also disease transmission. Currently, these insecticide-treated Tiny targets are being used in five districts of West Nile province of Uganda and covers an area of more than 2500 square km, with 20000 targets deployed along the rivers and streams. The tsetse populations in these areas have decreased by more than 90%, with subsequent decrease in disease transmission. Dr Johan Esterhuizen, who is based at the LSTM research station, explains that this success is due to the low cost and low technology of Tiny targets, which allow for large-scale deployment with local resources and staff. The initial planning, training and implementation is provided by the LSTM team and then systematically handed over to the local district governments, with LSTM providing necessary quality control and support. Expansion of operations into two more districts is scheduled to start next year. An interesting but alarming aspect of the current regional situation is the influx of refugees from HAT endemic areas in South Sudan, into tsetse infested areas of northern Uganda. 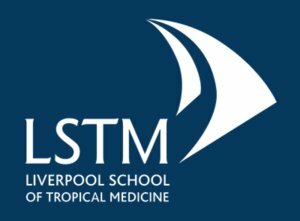 Dr Richard Selby, part of LSTM’s team, describes that this clearly illustrates the importance and relevance of LSTM’s work in vector control that is easily adaptable and effective, to such emerging situations. To highlight these advances in the control of HAT, a Tsetse Awareness day was held in Arua to discuss future expansion on the gains achieved. The meeting was hosted by the Uganda Trypanosomiasis Control Council and the guests of honour were the Ugandan minister for Primary Health Care, the minister for Animal Husbandry and the minister for Northern Uganda. Attendees included district political leaders, health workers, district entomologists and veterinarians. During the presentations, LSTM was praised for its involvement as developmental partner and for the success of the project. An award was presented to LSTM and received by Dr Johan Esterhuizen and Dr Richard Selby on behalf of the Vector group.